The soul crop's coming along nicely this year. 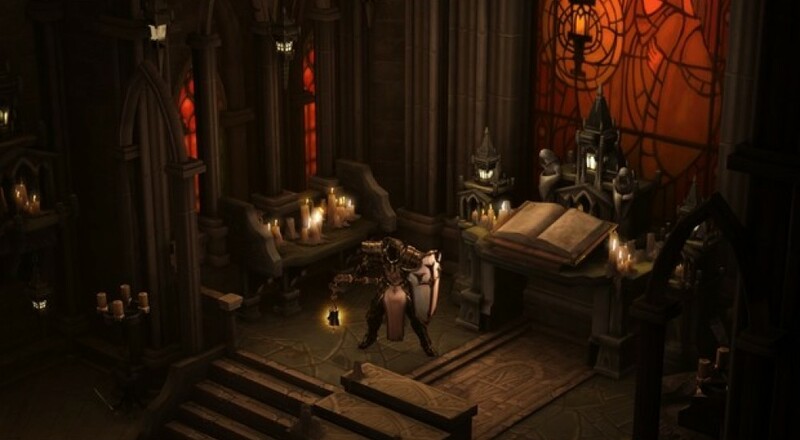 Those of us who enjoyed Diablo 3 may now schedule time off of work with confidence. Reaper of Souls drops March 25th, 2014. Start planning your co-op parties now so you aren't surprised in three months when your squad is composed of nothing but witch doctors. There'd be demon dogs for miles. In case time has eroded your memory, here's the trailer from Blizzcon. You can purchase Reaper of Souls on Battle.net for $39.99. The Digital Deluxe Edition comes in at $59.99 and includes a wealth of items for the Blizzard aficionado. Is your hero looking a little too drab? The Deluxe Edition comes with free helmet and weapon transmogrification gear to spice up their image. Champions also get a gnarly-looking spectral hound companion as an in-game pet. I don't know about you, but I'd be really uneasy about talking to someone who kept a skeleton-ghost dog as company. The Digital Deluxe Edition also includes items for more Blizzard products. Purchasers who also play World of Warcraft can add a special Diablo treasure goblin to their pet collection. New Battle.net and Starcraft II portraits are available as well. If the internet terrifies you (and it should), you can always pick up the retail-only Collector's Edition for $79.99, which includes a hard backed art book, a behind the scenes BlueRay/DVD set, and a mouse pad featuring Malthael and his lack of a face. Spring will be here before we know it, and we'll have another reason to hop back into Sanctuary. With a new class, new loot system, and more baddies to slaughter, Reaper of Souls is looking like a great addition to a good game.